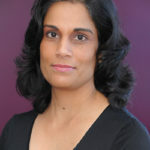 Sharma - Joelle Delbourgo Associates, Inc.
Born into a family of East Indian heritage that faced challenging circumstances in their native India, where violence and poverty were rampant, Ritu witnessed at a young age the the circumstances that the poorest women face. The Sharmas emigrated to the United States, settling in Arizona. At age 17, she traveled to Wales to attend the United World College of the Atlantic, an international school started by HRH Prince of Wales. She returned to the United States to study at Georgetown University’s School of Foreign Service. After graduating with a BSFS in international economics, Ritu went on to receive a Masters of Public Health from the Johns Hopkins University. Her leadership skills were present early. In 1995, at age 26, she led a coalition of more than 100 organizations to influence the United Nations Summit on Social Development. Ritu also served on the official United States delegation to the Summit and later on the U.S. delegation to the United Nations General Assembly Session on Women. In 1998, Ritu Sharma co-founded Women Thrive Worldwide, .a nonprofit organization dedicated to connect women living in abject poverty in developing countries with U.S. international aid sources to create an equal playing field for men and women globally. Under Ritu’s leadership, Women Thrive Worldwide has put the concerns of the poorest women and girls at the center of all U.S. international assistance. An adept coalition builder and political strategist, communicator, Ritu is a leading voice on international women’s issues and U.S. foreign policy. She is also the author of An Introduction to Advocacy: A Training Guide, which has been translated into six languages and is a primary reference for advocates around the globe. A charismatic and persuasive public speaker, Ritu was chosen to deliver an opening keynote at the 2004 Hilton Humanitarian Prize Symposium along with Nobel Peace Prize Laureate Muhammad Yunus. She also highlighted Thrive’s role in pushing the U.S. to integrate women at the 2008 White House Summit on Global Development hosted by President George Bush. Ritu often draws on personal narratives and sharp insights to engage audiences to help in her aid efforts. “When you teach a woman to fish, everybody eats,” says Sharma. In her new book, TEACH A WOMAN TO FISH, Sharma shares powerful stories of women in developing nations who are triumphi ng over the forces that threaten to keep them in poverty. Drawing on her travels in four countries–Honduras, Burkina Faso, Sri Lanka and Nicaragua–she offers first-hand accounts of the day to day lives of women in the developing world which defy cultural stereotypes. Sharma believes that these women have the inner resources and courage to succeed economically, but that broader systems, including lack of infrastructure, corruption, and bureaucratic hurdles, hold them back. Only by reforming these systems can women overcome poverty and progress socially. In a call to action, Sharma outlines how we in the United States and western world, can impact and accelerate the pace of positive change. Ritu’s many media appearances and credits include: MSNBC, The Washington Post, National Public Radio, Politico, The New York Daily News, The Boston Globe, The Baltimore Sun, Lifetime Television, and Parade magazine. She is also a regular contributor to the Huffington Post and World Pulse. Ritu lives in Annapolis, Maryland with her two sons and their Portuguese water dog, Rio. When not leading Women Thrive Worldwide, she can be found in her sea kayak or her pottery studio.